You can find a full recap of your current usage in the Usage section of your account. 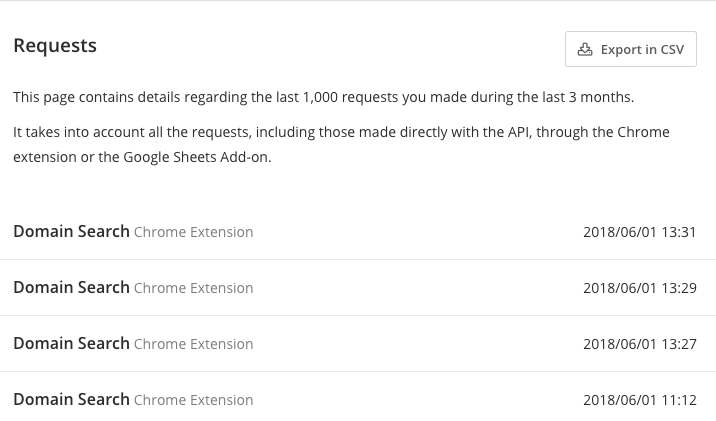 You can also have a detailed list of the last 1,000 requests made in the last 3 months in the history section of your account. The list can be exported in CSV too. 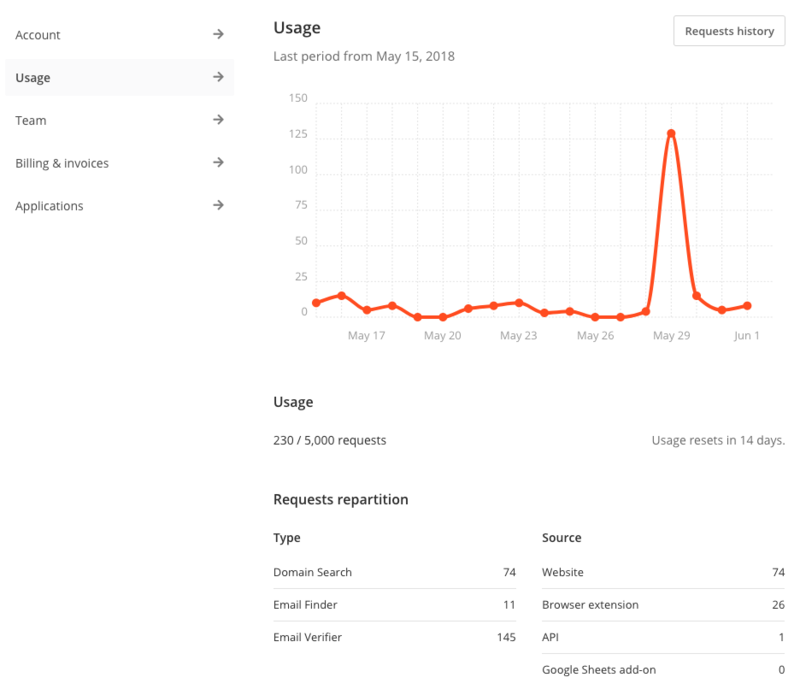 In the Usage section of your account, you will also get a full recap of your current usage.